How do I contact Homebase for support? This article explains how to contact Homebase for support with any Homebase product or service. in the upper right hand corner of the screen. 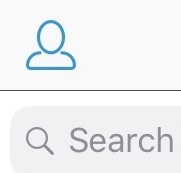 From the Mobile Manager you can chat with Homebase Support by going to the Community tab and selecting the blue avatar in the upper left hand corner of the screen. 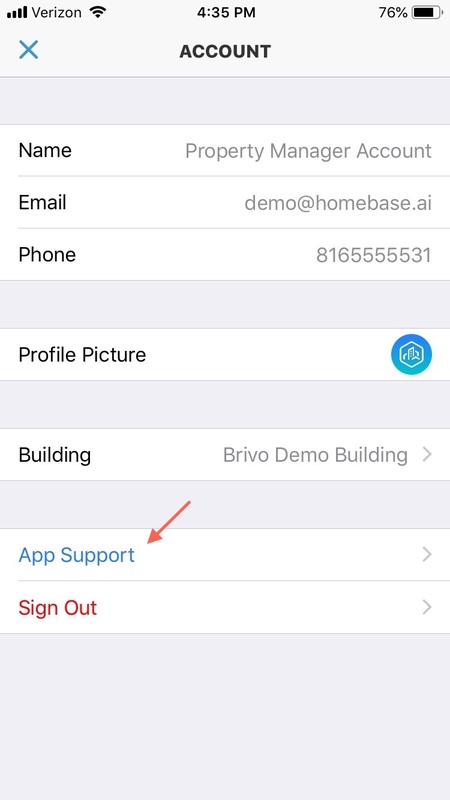 Select App Support on the Account screen. 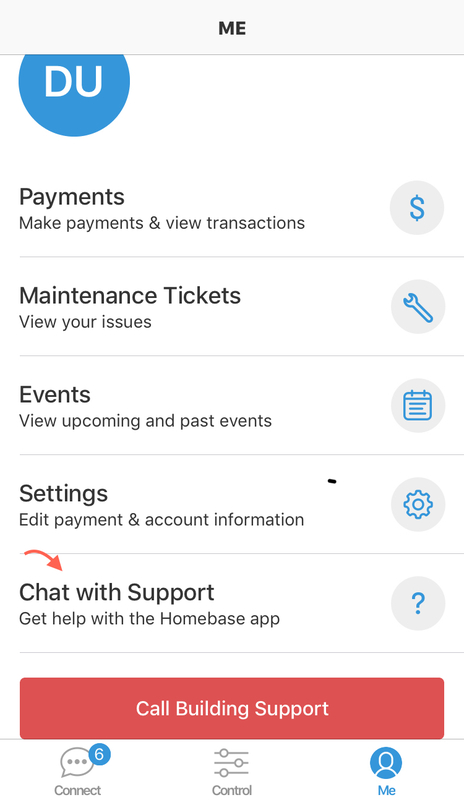 Residents can chat with Homebase Support from the Resident App by selecting Me in the lower right hand corner of the Homebase Resident App. On the Me screen select Chat with Support to chat.